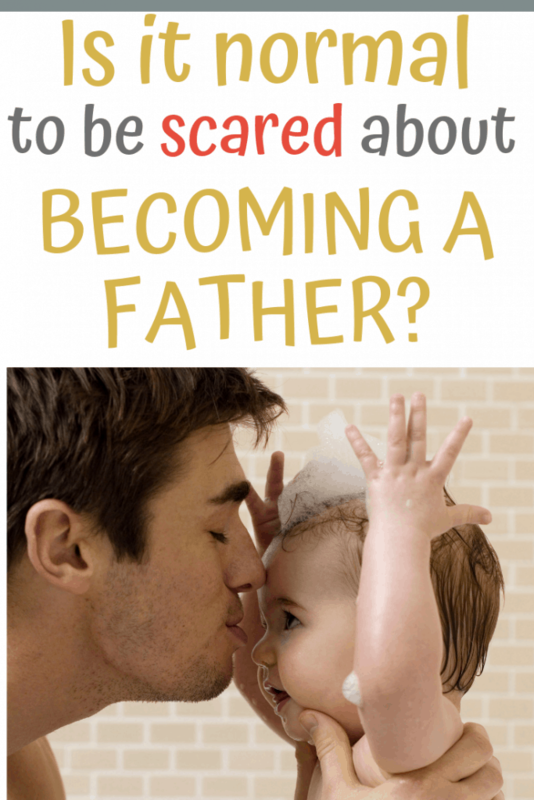 Home » Relationships » Dads » Is It Normal to Be Scared About Becoming a Dad? When men get the news that they’re going to be dads there are a few common reactions. For many, especially if they have been looking forward to starting a family, it’s that of immense joy. For others, where pregnancy wasn’t planned, it can come as a real shock. Some may bypass the joy or shock and feel intense fear almost immediately. All of these emotions are normal. Becoming a parent is one of the biggest changes you’ll ever go through so some degree of trepidation is usual (and to be honest it’d be weirder IF YOU DIDN’T feel that way). Initial reactions aside, once you come to a place of acceptance you may feel like calling up all your buddies for a celebratory drink and swagger about like you’re ten feet tall. The thrill and excitement doesn’t always last though. Just like expectant moms, dads-to-be go through many experiences and emotions during the lead up to becoming a parent. It’s unlikely that you’ll stay elated for the whole nine months until baby arrives. Worry, anxiety and fear about becoming a dad nearly always set in at some point. You may start questioning your readiness to welcome a baby into your world and the responsibility that being a parent will bring. 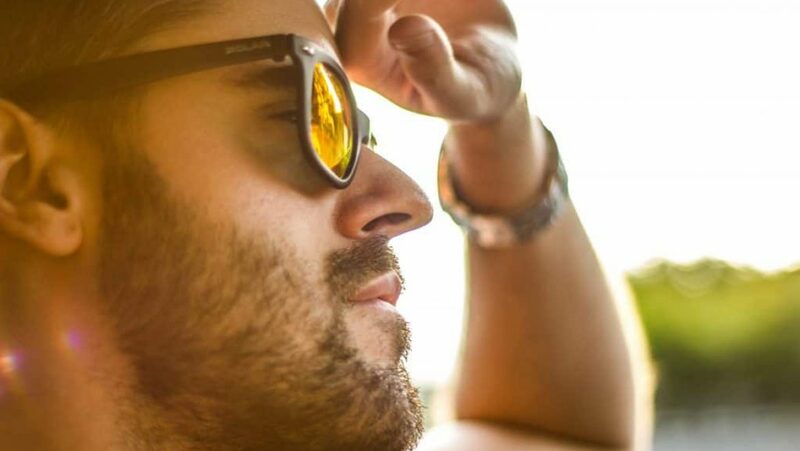 For men that don’t feel ready to be dads, the news of an unplanned pregnancy can be completely disorientating. While it is perfectly okay to have these fears, it’s good to remember that fear is a common experience during pregnancy but that everything usually works out okay in the end. You may just need some time to take it all in and slowly come to terms with your new responsibilities. One of the scariest things about becoming a new parent is fear of the unknown. That’s especially true if you haven’t spent too much time around pregnant women and young babies. Fortunately there are so many great resources around to learn from. Keep an open mind and be prepared to learn. Yes we come into parenting with some instincts about what to do, but a lot of it is about dealing with the practicalities of comforting, soothing, diaper changing, washing, feeding and sleeping. Most of those skills are learned and it always helps to be prepared. You may be scared of dropping the baby or unintentionally hurting her by holding her too tight. These are such common fears when given your baby to hold for the first time. Holding a baby seems to come very naturally to mothers but it often takes a while for new dads to adjust. After the initial scare though, you’ll no doubt become a pro. As your baby settles at home, there are other things to contend with. Your relationship with your partner will inevitably change as you settle into your new roles as parents. If you thought maintaining a harmonious relationship with your spouse was difficult during pregnancy, wait until you spend sleepless nights singing lullabies, walking up and down trying to sooth a distressed baby or rocking baby to sleep. Tiredness can lead to arguments. Baby will take up 99% of your partner’s time meaning you may feel left out or neglected. You might feel insecure about your role and how to help. You might feel insecure about your lack of skill and competence in dealing with a young baby’s needs. And you may fear that you’ll never get back to how things were before. The truth is things will never be the same again. Becoming a dad is scary, but in most cases having some fear is healthy. Use it to help you learn the skills you need and move forward in your new role. Keep communication lines open and talk to your significant other about your fears. This will help you move through difficulties and grow into the strong Father and partner you wish to be.